Vacations are meant for disconnecting from the day-to-day, creating memories to last the years and improving one’s well-being for the future. The seasoned team of hospitality professionals here at The Little Nell can make the seemingly daunting task of family ski vacation planning nothing short of painless. We live here. We work here. And we ski here. Our team knows the mountains and from our ski-in/ski-out destination in Aspen, the world’s best hot chocolate, and reservations at kid friendly restaurants, we’ve got your whole family covered. 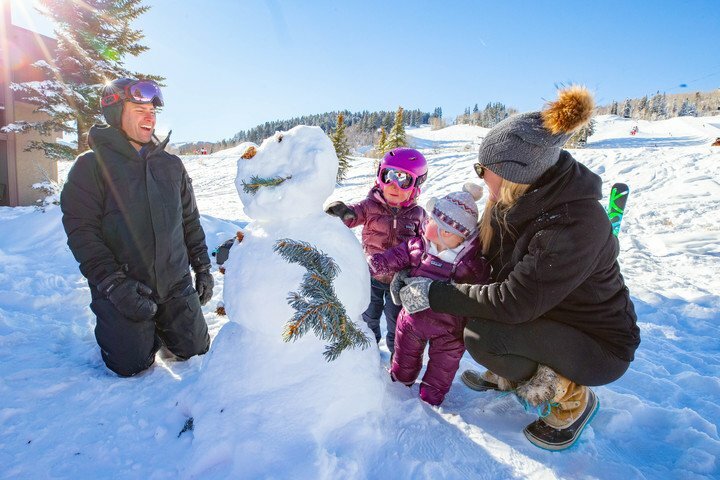 There’s a reason that Aspen Snowmass is one of the most family-friendly resorts in the world. We have terrain for literally every ability level. Buttermilk Mountain is the perfect spot for beginner skiers. Order your lift tickets in advance, or ask us about them day of, and we will take care of the rest. All four mountains have Four Mountain Sports outposts equipped with all the gear you’ll need if you haven’t traveled with your own. Even if your family comes with skis, you may want to demo powder skis after a big evening snow. Our drivers at The Nell will drop your family off at the base of Panda Peak at Buttermilk, a gentle slope that is ideal for kids (and adults) learning to transition the turns from “pizza” to “french fries.” If the mention of “french fries” in conjunction with skiing means nothing to you, don’t worry, we will find you the perfect ski instructor to help you get down to basics. And speaking of food, it is totally fine if members of your family aren’t interested in skiing, yet would enjoy checking out all of the culinary delicacies that Aspen Mountain has to offer. The Silver Queen Gondola is open to foot traffic, so non-skiers and expert skiers can meet for a group lunch at the Sundeck at the top. This option is perfect for families with a wide range of interests. With views of the Elk Mountains for days, the Sundeck is a great meeting point with menu options for the whole family. Our friends at the Aspen Center for Environmental Studies (ACES) also lead snowshoeing expeditions from the top of the gondola daily; tours are open to ages 7 & up, the only requirement is a desire to learn more about the mountains that surround you. Snowshoeing is among our favorite winter activities for families. The low-impact activity is easy to learn and people of all ages can participate. After a day on the mountain, it is all about apres-ski. We recommend refueling at Ajax Tavern for an order of truffle fries. 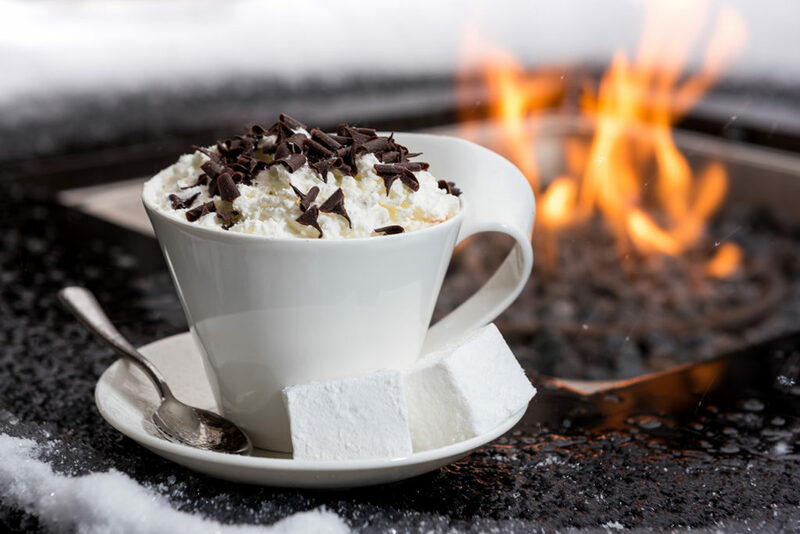 Or find your spot in the living room and enjoy our not-so-secret hot chocolate recipe. And lastly, after a fun-filled day and busy itinerary, a trip to The Nell’s hot tub and pool to rest those tired legs serves as the perfect nightcap. Aspen has had a winter for the books already with powder days, great coverage, and more snow in the forecast. Early season snow has meant that parts of the mountains that barely open in low-snow years are already primed for early season visitors. The Nell’s ski concierges will store your gear, and even sharpen your edges, so your family can retreat to your room and relax. Between the fireplace, well-stocked snacks, and an extensive room service menu, you might not want to leave after a day spent in the Colorado sunshine. Go ahead and book your rooms, and leave the rest family ski vacation planning to us!